Last August, Brandon and I moved to Minnesota which meant new jobs for both of us! Luckily enough, I stumbled upon a Sales Manager position at the local quilt store and BERNINA dealer, Pine Needles Quilt & Sew. Talk about a dream come true! Fabric + BERNINA machines each and every day, yes please! 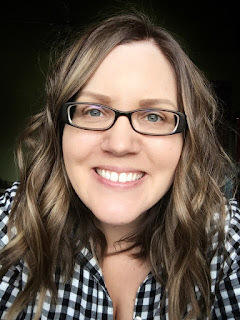 Since then it's been a whirlwind of learning a new job, settling in to our first place together, moving ahead with my goals here at Canoe Ridge Creations, and more. It's truly been an exciting time in our lives together! If you follow on Instagram and/or Facebook you've probably noticed I've been sewing lots & lots -- quite a bit of which are shop samples for Pine Needles. With the weather changing - YES! - I'm hoping to be able to get outside & take some pictures of all the projects, and share them here too! 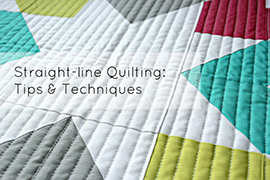 First up, this Mini Northern Lights quilt from JayBird Quilts. 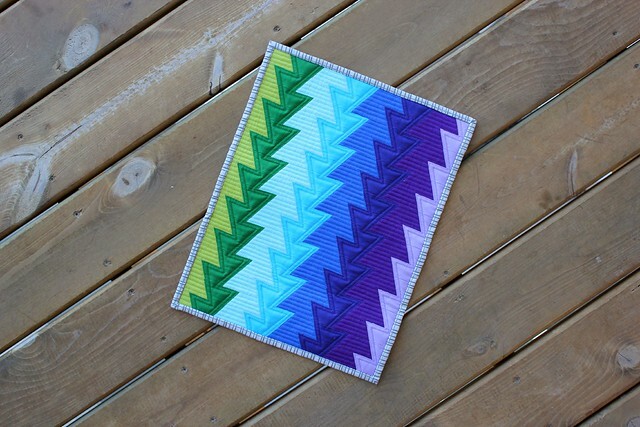 I'm a sucker for rainbows & cotton solids, both of which initially caught my eye with this design. 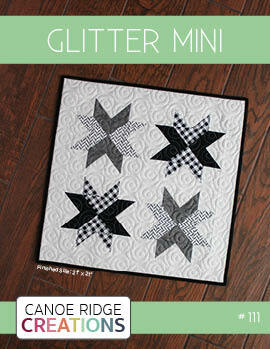 The pattern uses 8 different colors & the Mini Hex-N-More ruler -- which is so cute & easy to use! 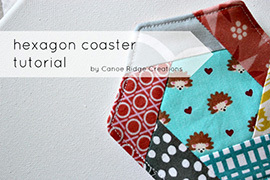 If you are looking for a quick & easy project, this is it! 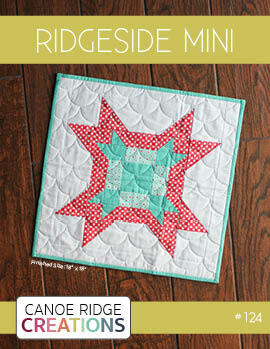 At first I didn't know how to quilt this mini. More specifically, what color thread to use. Instead of choosing just one color thread, I used matching Aurifil 40 wt thread. Perfect-o! The matching thread blends perfectly with the fabric and help accentuate the overall design, not draw it away. I alternated directions vertically & horizontally using my BERNINA walking foot & straight-line quilting. It makes for a really interesting visual texture! 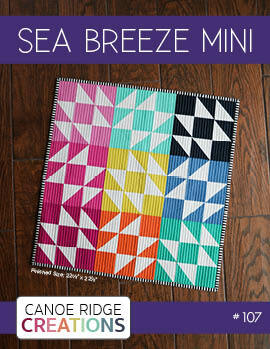 If you'd like to make a mini quilt like mine, you can purchase the kit including pattern right here. That's so pretty! 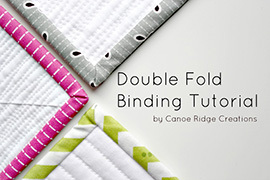 and the quilt kit, how fun!!! 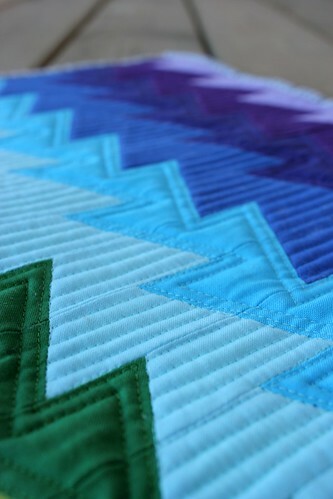 I love the quilting you did, so much. 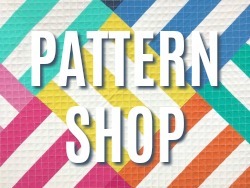 I've been admiring this pattern for a while and love your version. 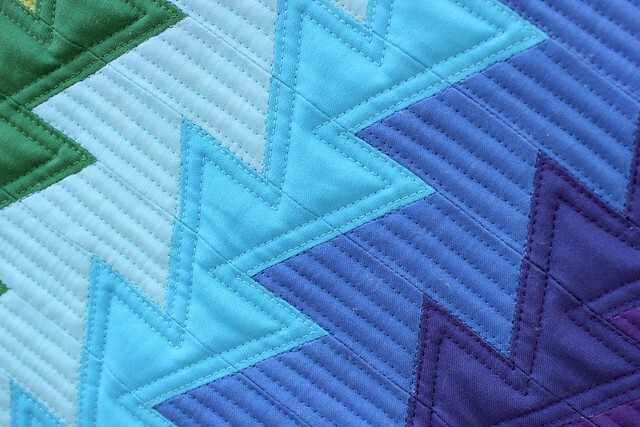 The quilting is awesome! You do such beautiful work - great job! Very pretty !! I love the colors! 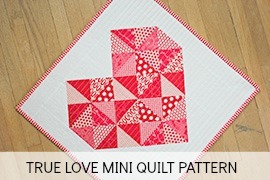 Love your mini, especially the quilting! What a great opportunity. You did a great job on the quilt! So pretty! 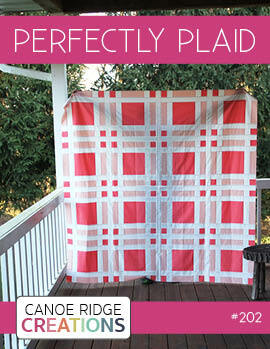 I love JayBird Quilt designs! 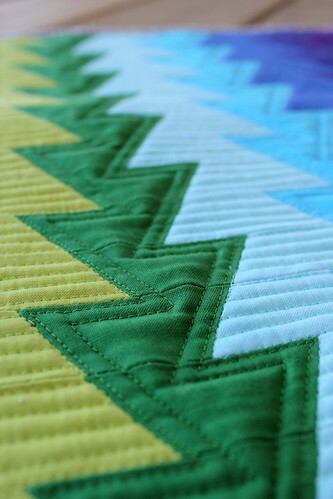 Love the quilting!! I may have to swing by Pine Needles to pick up a kit!